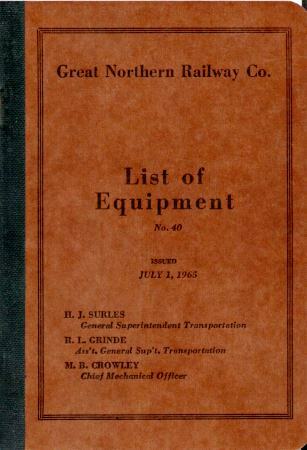 The "List of Equipment, Number 40" is an interesting snapshot of the equipment on the GN, although the booklet admits the "List is made from equipment record and not from actual inspection". Some of the more interesting entries are the assignments of the business cars and the names and numbers of all the GN sleeping cars. As a bonus, I have added the names and numbers of dome lounges, observation cars, diners and ranch cars. There is also a wealth of information for you modelers out there including info on heater cars, work equipment and roadway machines. Enjoy.